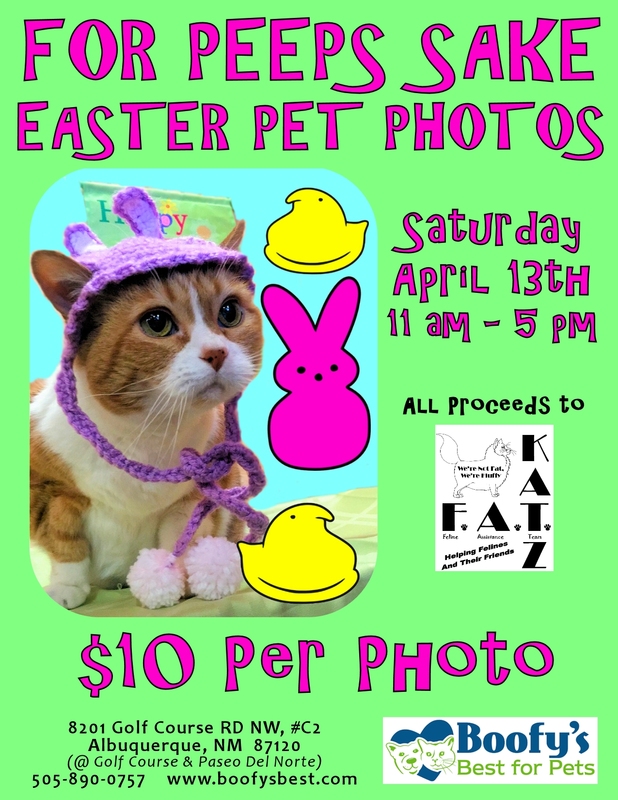 Bring your well-behaved pets (and humans) to Boofy’s Best for Pets for Easter photos! Come in your best Easter attire or use our dress-up items that will be available for you and your critter. $10 per photo suggested donation benefits F.A.T. Katz, a 501(c)(3) local nonprofit rescue organization.